That was mad. Reminds me of that level on L4D2 in the corn. damn! now i've seen it i'll know it's coming in the game, that woul dhave shitted me up. I aint watching any more Wake tubes. As revealed during this year's Consumer Electronics Show, tormented writer Alan Wake will continue his dimly lit journey in the form of post-launch downloadable episodes. After the internally episodic thriller hits shelves on May 18, Remedy Entertainment will extend it with at least two episodes in 2010. The scope of subsequent episodes and the duration of DLC support will hinge on the audience, of course, but Remedy managing director Matias Myllyrinne envisions a substantial engagement. "I think it'll depend a lot on the audience, but certainly we want to -- if we're successful -- we want to do a large "Season 2," if you will, at some point," he said in an interview with Joystiq. "Right now, I'm not allowed to say what we're doing exactly this year. But we're going to have more than one episode come out this year." Once the full game is complete and the team has a chance to gauge acceptance and feedback, Remedy Entertainment will shed some more light on its plans. Like Remedy Entertainment told us back in January, Alan Wake's poorly lit world will be getting a few DLC "episodes" this year. What we didn't know, however, was how said episodes would fold into the game's narrative arc -- but head of franchise development Oskari Hakkinen recently shed some light on them in a recent interview with Edge (via CVG), saying, "We've thought of DLC, which will be more of a bridge between season one and season two, should this first part be a success." Hakkinen here is referring to the first, yet to be released Alan Wake as "season one," banking on the interest in the first game to produce a sequel (or "second season") with DLC episodes set to bridge the narrative between the two "seasons." And though Hakkinen doesn't exactly illuminate the details of the DLC, he does call it a "Christmas special," adding that it "will give you a different perspective on the stuff you've played in season one." 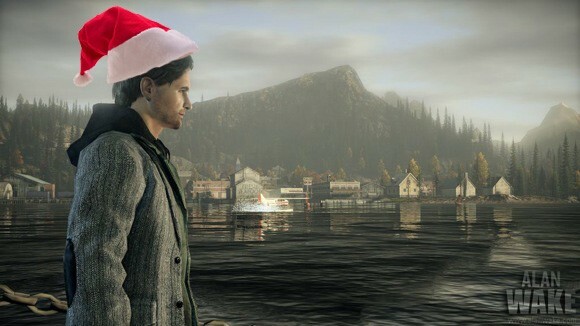 Alan Wake's European release date has been changed once again my Microsoft. But don't worry. This time it's good news as the launch has been pushed forward a week, from the previous May 21st date. Remedy's 'psychological action thriller' will now be out in the UK and Europe on May 14th, which is currently four days before the North American date. "Fans in the UK have been crying out to get their hands on Alan Wake since it was first announced and we're thrilled to be able to deliver it to them early," said Stephen McGill, Director, Xbox & Entertainment, Microsoft UK. In other news: I still don't care about this game. Microsoft has announced that the first two episodes of a six-part live-action prequel to Alan Wake will be distributed through Xbox Live this weekend. The "Bright Falls" short film series will debut on 25th April for Xbox Live Gold subscribers, with Silver subs able to pick it up a day later and visitors to Xbox.com and BrightFalls.com able to view it on 27th April. According to Microsoft, the series introduces the spooky town of Bright Falls. "TV fans will find that the series evokes the same ghostly chills as Twin Peaks did when it premiered 20 years ago this month," the platform holder said, somewhat hopefully. Directed by Philip Van, the Bright Falls series features actors Tom Noonan (Robocop 2! Manhunter!) and veteran TV actor Cooper Huckabee (everything from Little House on the Prairie to Baywatch) among others. There's a short trailer for it on Xbox.com (click "Show All" in the bottom-left of the viewer, then it's the third one along in the stupid carousel thing). New episodes of Bright Falls will arrive weekly, with the final two pitching up on 17th May, the day before the game's North American release. Europe gets the game itself on 14th May because we're special. 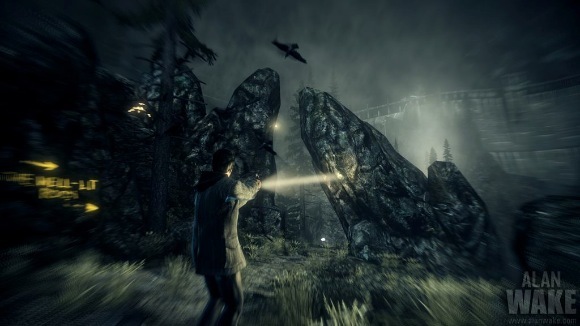 Developed by Remedy Entertainment, Alan Wake is a wicked-sounding psychological thriller where you have to fend off nasty things in the dark using a torch. Alan Wake reviews are embargoed until 6am BST on 5th May.